Harbour Heating Ltd. - Central Heating Engineer, Plumber based in Lytchett Minster, Dorset. Harbour Heating Ltd was founded in April 2012 by Robert Russell and was joined by Andy Keegan of Andy Keegan Heating Ltd in the summer of 2018. We have been qualified and working as plumbers and heating engineers together and independently since 2003. We have gained a wealth of valuable experience and knowledge working for a leading gas company where the standard of work was duly noted, this has been built upon and expanded through experience and training courses. Harbour Heating Ltd focuses the majority of its work in the heating sector, providing boiler servicing and repairs as well as complete installations of both boilers and central heating systems. We also undertake major or minor bathroom refurbishments and can create bathrooms and en suites from scratch. We pride ourselves on working alongside our customers to create a room they are proud of in years to come. 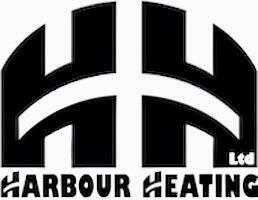 Harbour Heating Ltd prides itself on being trust worthy and honest whilst providing an excellent service. We respect your home and will always leave it clean and tidy. The job will be carried out with the utmost professionalism and it will not be left until you are happy with the agreed work. The company’s reputation is imperative to us and we always endeavour to maintain the relationships we build with customers. This can all be vouched for by many former Keegan and Russell customers which we continue to serve.